Now a product manager at video hosting startup Wistia, Molly Wolfberg started her career in usability testing and product research. Her earliest experiences were as a UX writing intern, where she wrote help documentation, and she loved seeing firsthand how a quick, stepped process could give users the insights they needed to use the product better. While working in that role, she spent time with user researchers and came to understand how important research is to fueling fast, confident product development. After her internship, she transitioned into a user research role. From there, the transition to product management felt natural, as it was a way to incorporate her experiences within a customer-focused development process. Her career-long emphasis on users helps to define her approach to product development and the way she manages. Read on to learn how she builds and leads a user-centered team. Wistia recognizes the importance of processes, but underneath that company-wide value, each team is responsible for finding and maintaining a flow that works best for them. Molly’s team works under a loose Agile framework, but other teams choose to operate in different ways that work best for their work styles, personalities, and workloads — be it Kanban, big-A Agile, or something else entirely. The one exception to this organization-wide flexibility is that everyone at Wistia must work in four-week sprints. In between each sprint, there’s a week or two for everyone to share demos, do retrospectives, let teams work on side projects, plan for the next sprint, and decompress. And, everyone means everyone, not just the product and engineering teams. The marketing team time-boxes their initiatives to four weeks, as does the “Customer Happiness” team. The end-of-sprint period varies from team to team, but on Molly’s team, she does weekly mini-retrospectives, with the a formal retrospective at the end of each sprint run by someone who wasn’t involved in the sprint. The weekly retrospectives might seem redundant at first glance, but Molly says they’ve added a lot of value to the process, as it’s easy to forget important details after four weeks. She adds that it’s important to remember that each sprint isn’t like the last, and that there are always things you can’t control that might crop up. A good leader doesn’t stress about those things, but does act quickly to continue to keep all parties informed and interested. 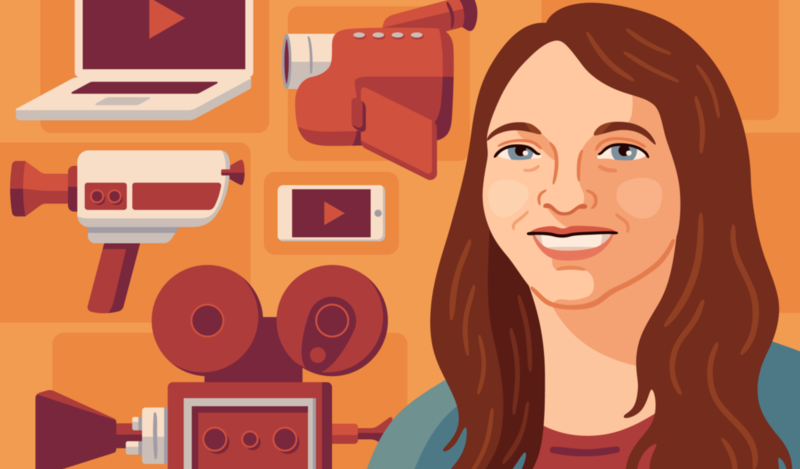 Her team’s specific focus is on maintaining and improving the core Wistia product offering. Wistia provides video hosting specifically for businesses, offering additional features that don’t exist on B2C sites like YouTube or Vimeo. It’s the job of Molly’s team to maintain that core video hosting service, while other teams manage features like video uploading and encoding, infrastructure, and their new Chrome extension Soapbox. As you can imagine, maintaining the core product can be an overwhelming task at times, but developing a workflow and sticking to it has made a big difference. Before they built out a product management team, there wasn’t much process. Engineers would work on giant projects on their own, without any set way to handle scope creep. When Molly became a product manager, they built a team around her, and she gave it structure. “Our own process came out as we realized that important parts of agile fit both the personalities of our engineers and the type of work we were doing,” says Molly, noting that their main takeaways from agile are planning meetings, daily standups, pairing, and setting estimates to determine difficulty and effectiveness. Keep a detailed document of the processes you use — types of meetings, and any other essential information about how your team works that can be shared with new members (as well as shared with and added to by the existing team). This is great for helping new team members get used to the language around workflow and meetings, as well as what the weekly breakdown of tasks/meetings looks like. Whenever possible, make sure that someone in the same role as the new hire explains to them how to use the different software pertinent to their role (wireframing, project management, etc.). Molly trains new product managers, while a fellow engineer will show a new engineer the ropes. This gets new people up to speed faster. Molly’s expertise in product research and usability testing, combined with the fact that Wistia has an extremely loyal and engaged customer base, also heavily influences her team’s workflow and development style. Molly and her team use support tickets as a way to source people who might be interested in user interviews as the team is conceptualizing and designing new features or products. They look for people who have asked for similar features or encountered the problems that the new feature or redesign is meant to solve. The user interviews are fairly standard; she asks the users open-ended questions and shows them mockups (if mockups exist), eventually pulling together her findings to share with the rest of the team. Their beta program is comprised of active users, with the best beta users (and the ones that the team works with more closely for research and detailed testing) being those who can articulate feedback well, work with potentially confusing features or those that have the chance of breaking, and use Wistia at least weekly. Molly has also written about how to build your own beta program, and says it’s possible to establish a program even before you have a product to test. In addition to the beta program, Wistia also has a very active user community on Slack. There, users can ask for quick feedback or concept validation and inquire about bugs and usability issues. Other companies can look to these examples for inspiration when creating their own way to interact with customers and users. Work shouldn’t be strictly business. Social and collaborative elements make folks more effective and passionate, and this ethos extends to customers with the annual WistiaFest gathering of Wistia employees, experts, and enthusiasts. Want to get insights from other tech leaders? Make sure to sign up for the newsletter or follow us on Twitter!